-- Select a Size -- X-Small - 1 Clear & 1 Smoke Lens - Out of Stock! Small - 1 Clear & 1 Smoke Lens - Out of Stock! Medium - 1 Clear & 1 Smoke Lens - Out of Stock! Large - 2 Clear Lenses - Out of Stock! 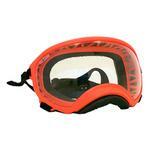 X-Large - 1 Clear & 1 Smoke Lens - Out of Stock! 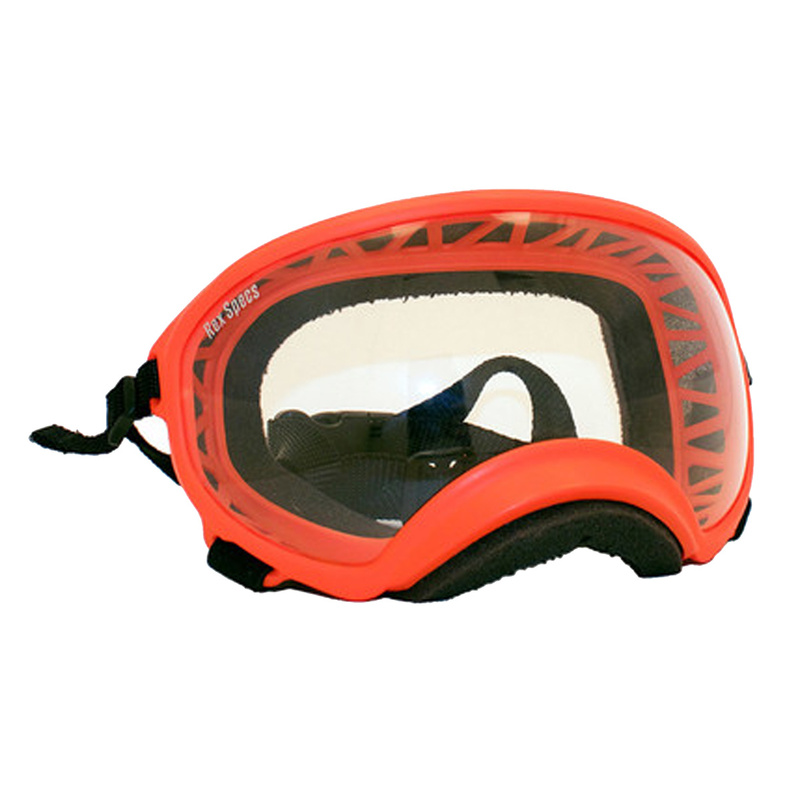 Keep your pups eyes protected when out in the world of adventure with the Rex Specs Dog Goggles in Orange! 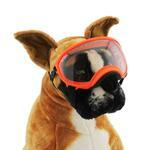 Rex Specs are protective eye-wear for the active dog. They are stable and secure while still allowing for full jaw motion and field of view. 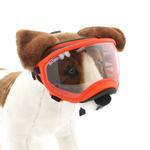 Rex Specs protect your dog's eyes from debris, environmental hazards, and sun. All lenses are UVA/UVB protective and assist in the treatment of canine eye conditions such as pannus (Chronic Superficial Keratitis). Rex Specs have been designed and tested for the working dog to insure they meet the needs of any dog and any adventure. Check out other colored replacement lenses sold separately. Rex Specs Dog Goggles - Orange Customer Photos - Send us your photo! Tobi loves to show off his spectacles! Tobi loves the feel of the wind through his ears with his slobbery cheeks flowing! Having Rex specs make it so he can see the world the whole time! Perfect, dogs did not try once to take them off and we are really happy we had these for the dogs. Will use more often for trips. Posted On 03/15/17 by Elizabeth M from Albuquerque, NM Yes, Elizabeth M recommends this product!